This is Chevalier's tribute to the extraordinairy bassist Jaco Pastorius. As expected we find here a music that gives ample room to horns. The trumpet is introducing and playing melodies, maintaining also a good improvisational attitude. 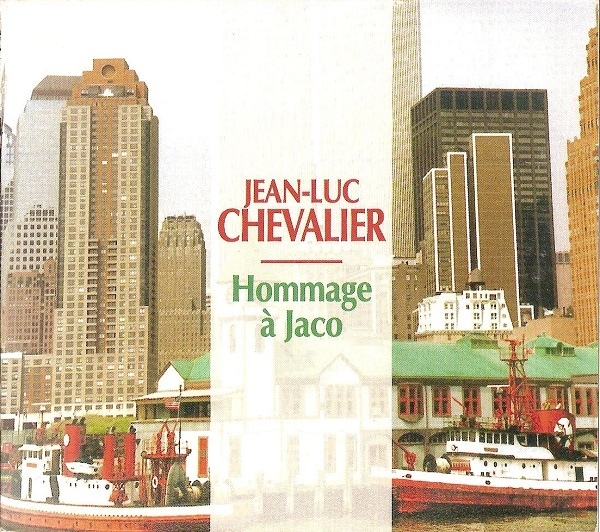 Per se, we do not have here a Magma-influenced music but then, it is quite clear by now that the French label Seventh is dedicated to an intensity in music rather to a strict genre, and Chevalier's live Hommage à Jaco is a very good example of that. The music, while being strongly on the jazz side, nevertheless got a sweet intensity that makes it go beyond. And this is very clear for Chevalier also when snippets of the famous Magma "De Futura" bass riff are presented. Of course, the bass playing is captivating throughout the album, dueting with the piano, flexing its notes from clear dynamics to round smoothness. The feeling of the album is one of a jazzistic nature, but not in a classical way, thus can be a very good listen to anyone wanting a nuanced intensity while still experiencing traces of atmospheres more familiar to the zeuhl school. All in all a very pleasurable music, an offering by a dedicated and expressive musician. A joy on its own.